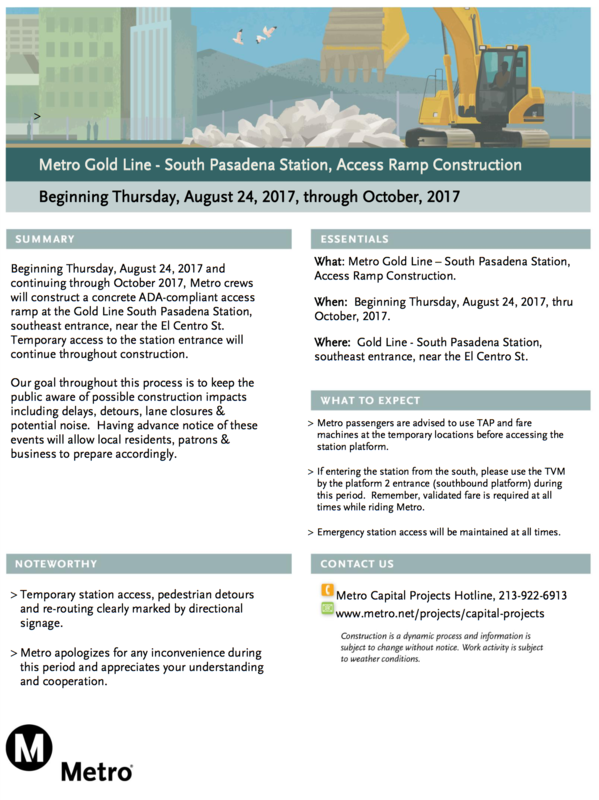 Metro crews will begin construction of a concrete ADA-compliant access ramp at South Pasadena Station’s southeast entrance, near El Centro Street, starting Thursday, Aug. 24. Temporary access to the station entrance will continue throughout construction. Work is scheduled to be complete in October 2017. Fresh pics: final pieces of tunneling machine for Regional Connector retrieved in downtown L.A.